Trump's Supreme Court pick: Brett Kavanaugh. Practicing Catholic. Unlike Obama's "Catholic" pick of Sonia Sotomayor, it looks like Brett Kavanaugh is actually a practicing Catholic as opposed to "raised Catholic". Why is it if a SC nominee in anyway leans towards prolife he is automatically disqualified but if he is a pro-abortion, this SC nominee he is exalted as a champion of woman’s rights. IE: Senate Minority Leader Chuck Schumer. Sen. Chuck Schumer vows to oppose Brett Kavanaugh with "everything I've got"
Schumer is revealing his ignorance (or contempt for) the US Constitution. I'm pleased with the pick. I know the left will fight this tooth an nail, though. My concern is how much they will try to delay the process. He's never really said much about whether or not he would actually vote to overturn Roe, but I appreciate that he is favorable on matters of religious freedom. 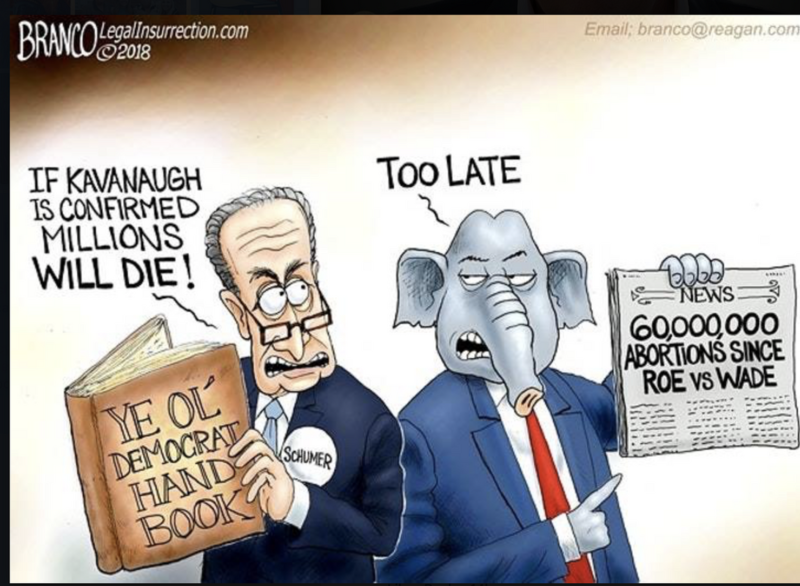 I think it is a mistake to hope that Roe v Wade is overturned. It is a good principle to protect the privacy of a woman, and give her priority control over her body. The effect of that good principle is that the fetus is not recognized as a person in clear definition. Hence weak protection for them when balancing the rights of the mother. The fight should not be to repeal RvW, but establish legal rights for the unborn. 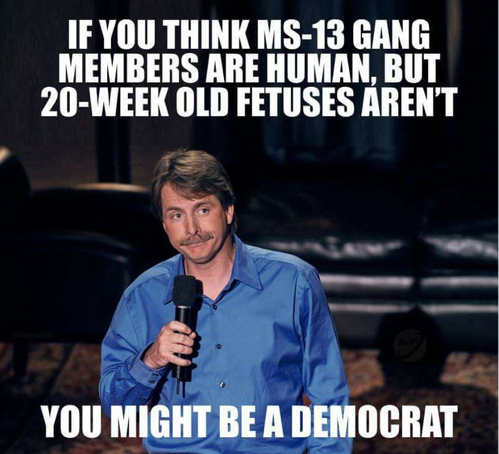 Those rights may eliminate late term abortion, and potentially any cases that the life of the mother is not endangered. Right to lifers also need to support better adoption and foster care programs and child protection services that are so underfunded and antiquated. There can be no meaningful legal rights for the unborn as long as Roe stands. The decision assumes that the mother’s privacy right outweighs whatever rights the unborn child may have. Now, if you are talking about a constitutional amendment, I am all for trying that, but getting Roe reversed is more realistic right now and will save lives right now while we attempt to establish a constitutional right to life for unborn children. I am worried that he will be another Kennedy but we shall see. I don’t think we will know because he is unlikely to give his true opinion during the nomination process. He seems to be a bit of a career politician, which worries me. SCHUMER: “I understand, but what is your opinion? You’re not on the bench yet. You’ve talked about these issues in the past to other people, I’m sure.” KAVANAUGH: “The Supreme Court has held repeatedly, senator, and I don’t think it would be appropriate for me to give a personal view on that case.” The one-minute cliphttps://cs.pn/2MXPt5a "
Like slavery, segregation and child labor, the practice of abortion has crept under the tent of the law due to social, economic and political pressures, not on its own merits. A legal victory over abortion will not be achieved by one or two cases, but only by the persistent recourse to the courts, as abortion practices are challenged with new data which demonstrate the violation of constitutional rights. What will gradually emerge as these cases are adjudicated are the facts and the principles of a new juridic development, embryonic law. The constitutional issue in the abortion question, the termination of unborn life, was not faced by the Court, in fact, the Court refused to consider that issue, much as the Dred Scott Decision refused to face the question of the manner in which Black Africans were brought to the United States or the inhuman manner of their servitude. This was because Roe v. Wadewas presented, on the basis of the briefs, as a case of law facilitating a basic constitutional right, rather than constituting one. Those arguing the case made sure that the question of unborn life and the manner of its destruction would never be faced by the Court. This is exactly the same way that Dred Scott, Plessy v. Ferguson and Lochner v. New York were decided...all of which were later overturned by the Court. And we’re all back to the valid point that Right to Life is more than the RvW law, and simply legal abortion. We (society) didn’t get here on a whim and quick decision that will quickly changed. No complete solution is going to come out of just a SC Justice. Because I’m an avowed atheist, I don’t think a prayer and a vote is going to change hearts and minds. I also don’t think the Catholic Church believes so either. ...........but we also hear that petitionary prayer as it were must be the prayer full of Faith. It is because the people generally had no Faith in Jesus, despite all He had already done, that His Hands are tied as it were. Do I really believe trustfully and confidently in the words of Scripture? I don’t think it’s a rationale or reasonable expression of your faith to sit back and prayer for a miracle after you cast your vote. You gotta get out of the church and off your knees. Somebody has to volunteer as a guardian ad litem. Somebody has to pay attention and attend the county board meeting when they discuss budgets for roads, teacher salaries, and child services. Somebody has to ask questions and ponder if a policy will promote jobs or is only a boon to profits, or maybe a comprise on both. In the land of milk and honey, somebody still has to shovel cow poop and get the combs from angry bees. There is more than one way to pray Than kneeing in church.